With our community growing impatient, we are glad to announce the Noku Custom Token Service. As announced earlier, Noku is releasing a major update. The Noku platform development roadmap is on track and we will be soon ready to announce the release date of our Custom Token Tool. 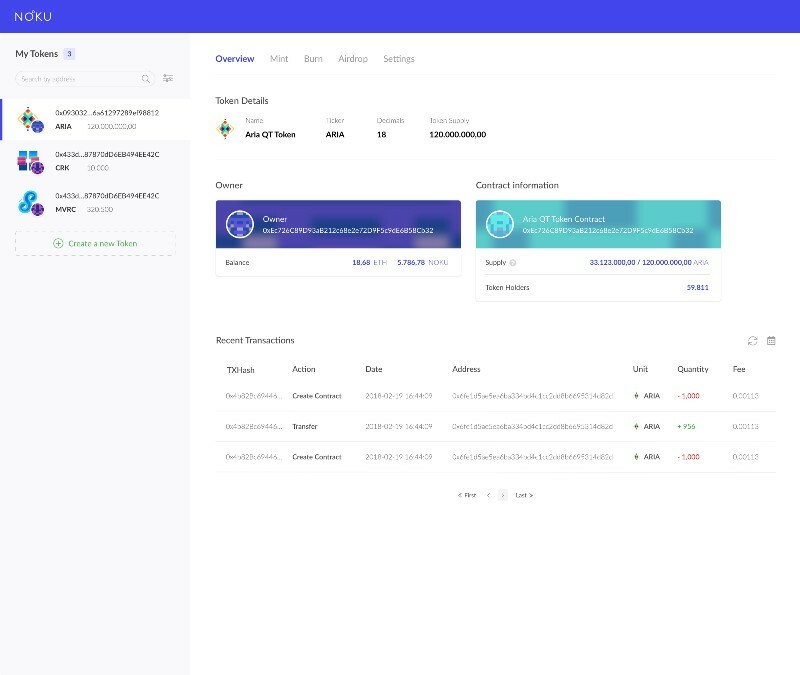 Our gift to all the Noku users: a powerful service designed to create your own custom token without writing a single line of code. 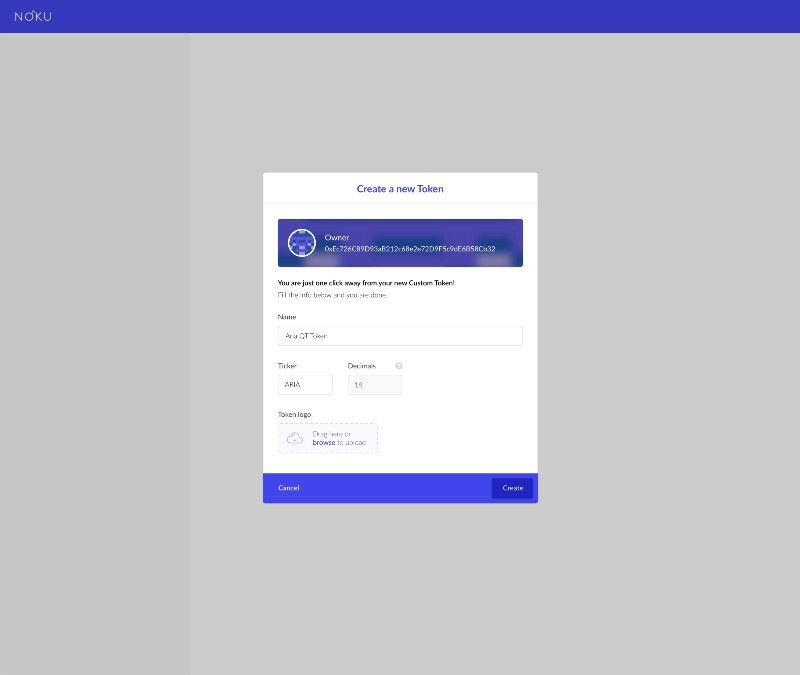 The Custom Token interface — flexible, fast, cheap and rich with different options — is one of the Noku Account features: in order to get access to the service, you need to reach level 2 of your Noku Account. Our Custom Token service is designed for all those who have no coding skills and no idea of the syntax of an ERC20 function: in fact, the most unmistakable benefit of the Custom Token interface is the possibility of releasing a token simply deciding its name, logo and few other infos. When you create your custom token, you’re basically creating a digital information, easily transferable to smartphones or tablets. You’re the one and only owner of this information, of course, and you can give it to anyone you want. Which kind of token can you generate? ERC20, for now: we are starting with the Ethereum network but, in the future, we’ll add support for other Blockchains that make sense. if it’s mintable and burnable, or not. If you choose a limited total supply, the amount of tokens chosen will be unchangeable in the future: this to offer the token holders a stronger warranty. Vice versa, if you go for the unlimited total supply, you will be able to mint and/or burn tokens. How many different tokens can you create with one Noku Account? Limitless. 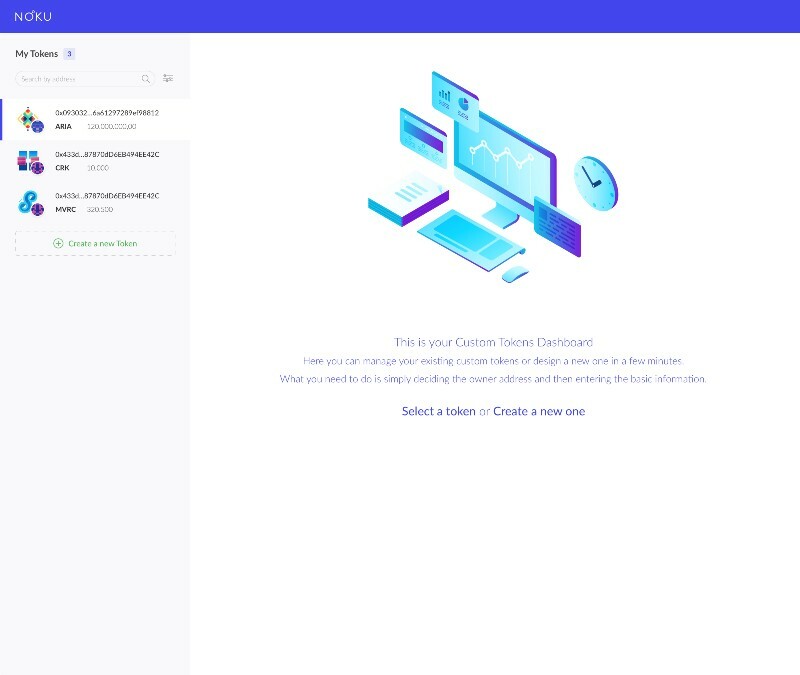 Every custom token created on the Noku Platform will be automatically compatible with your Noku Wallet: ticker, name and logo will spontaneously appear on your Token Balance section. The Noku Custom Token is the very first service which allows people to use the Noku Master Token, i.e. the service will be paid using our token. How much? We are designing different pricing: a flat-rate subscription or an as-you-go one (in this case, users will pay on the basis of the amount of tokens created). Yeah, fine, but what good is any of it? The thing is: every single business can be tokenized, because every token generated by the Noku Platform is freely tradable, programmable, connectable to various sources of value and tamper-proof. It really is a warranty of security: use it to give access to a specific service — a private one or a limited one — without risks of falsification.